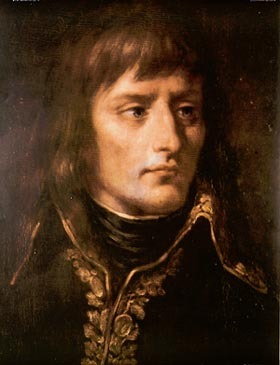 Napoleon (or, possibly, Frederick the Great) once said an army marches on its stomach. I have always thought that a far more effective mode of locomotion should involve the feet and legs in some way. But, as I am neither soldier nor cook, what would I know? Perhaps he meant to say an army of snakes marches on its stomach. How awesome would that be, an army of snakes? It would, understandably, have to be an evil army; I can’t imagine any self-respecting serpent would enlist in an army that didn’t have at least a small element of ill will to it. The carrying of rifles and ammunition might present somewhat of a problem, but nothing insurmountable. I fancy the solution would include some sort of snake-sized harness and bandolier combo with a gun on top. And, by means of the same device, certain snakes could even be outfitted with petrol tanks providing fuel for a rudimentary snake flamethrower. Snake Army’s artillery division would operate much along the lines of any other army’s, so need not be expanded upon here. I, of course, would command Spider Battalion. I am a magnanimous leader of men… aaaaand spiders… and inspire my troops to battle bravely and engage the enemy with every web-spinning ounce of their strength. The loyalty of a spider is a thing not given lightly. Each spider’s eight legs more than make up for the snake’s lack of the same. The manoeuvrability afforded him by this preponderance of legs ideally suits the spider to such difficult but necessary tasks as scaling walls, redoubts and divers other earthworks, as well as immobilizing any enemy flies or moths. Furthermore, their sturdy exoskeletons lend themselves well to the deflection of bullets, thus obviating the need for expensive and clumsy body armour. At this point, we mustn’t forget the SAS or Super Army Spider. In addition to his special parachute training, his skill in hand-to-hand-to-hand-to-hand combat is unparalleled among arthropods. Indeed, many an SAS comports himself with such valour and steely resolve in battle that he regularly receives the Victoria Cross or evil spider equivalent. God bless you, brave spider! Your great deeds in the field have surely earned you a handsome nest at His right hand with Tarantula Jesus. Evil Tarantula Jesus, that is. All good points, but it would nevertheless be difficult to get a snake army to slither in unison. And also, a clever pun about victuals!